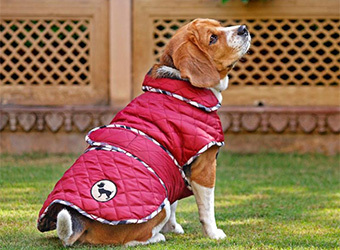 Delhi-based luxury pet products portal Heads Up For Tails (HUFT) has raised $2 million (Rs 13.6 crore) from a group of high net worth individuals (HNIs) in a pre-series A round of funding, the company said in a press statement. With this funding, the startup plans to upgrade its technology and expand its footprint in the country and overseas, through both online and offline channels, the press note added. "This fresh round of funding comes as a huge milestone for the brand and we look forward to using it to further enhance the end-user experience by investing in technology," Rashi Sanon Narang, founder and chief executive of HUFT said in the statement. Operated by Precious Pet Services Pvt Ltd, the portal has a catalogue of fashionable products for dogs and cats, with a focus on design and customisation. The brand also offers its own range of organic grooming products such as shampoos, conditioners, dry bath shampoo and human grade treats for pets along with designer collars, leashes and accessories. HUFT, which was launched in 2008, also offers services like a monthly gift-box subscription plan called Wag Box. It also runs a Scheduled Food Delivery service where customers are reminded to order their next batch of dog food so that they never run out of supplies. The firm claims to have more than one lakh active customers. Narang was formerly working with the human resources departments of Citigroup and Hindustan Unilever. She is an alumna of Cardiff University and London School of Economics and Political Science. Early last year, the startup raised $1 million in seed funding from undisclosed investors. Other pets-focused startups are Waggle.in, a platform which allows dog owners find temporary homes for their pets when they are traveling. Delhi-based Collar Folk plans holidays for people who would like to take their pets along with them while vacationing. Gurgaon-based Doggie Dabbas is a pet food ordering platform offering customised, nutritious and a balanced diet for dogs. Bengaluru-based Dogsee Chew sells natural/organic food for dogs their own website as well as on Flipkart and Amazon India. Another player in the space is DogSpot.in, run by Gurgaon-based Petsglam Services Pvt Ltd, which received an undisclosed amount of funding from Ratan Tata, chairman emeritus of Tata Sons, in January last year.